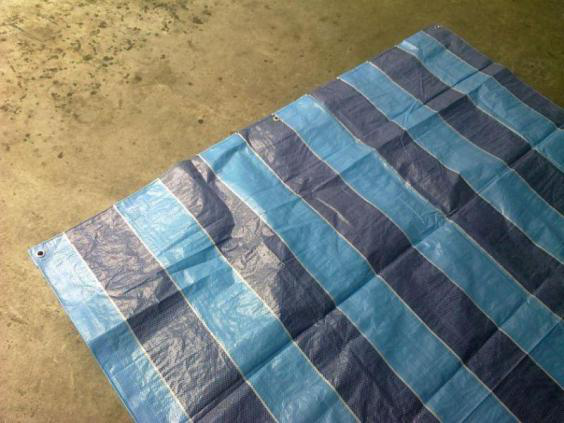 Product categories of Stripe Tarpaulin, we are specialized manufacturers from China, Stripe Tarpaulin, Striped Pe Tarpaulin Storage Cover suppliers/factory, wholesale high-quality products of Waterproof Striped Pe Tarpaulin R & D and manufacturing, we have the perfect after-sales service and technical support. Look forward to your cooperation! 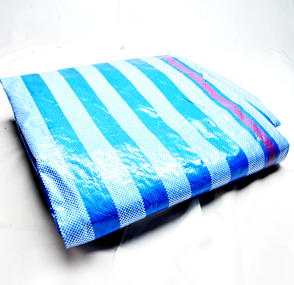 PE Tarpaulin are produced with HDPE woven cloth and LDPE lamination on both sides. The production setps includes: drawing tapes, weaving fabrics, lamination, cut, welded, ropeing and eyeletting, packing. We have specilized in the industry for about 20 years. Long time production and rich experience allows us with high quality and low price. 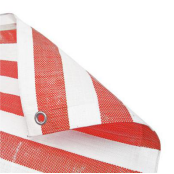 FR tarpaulin, Camo Tarpaulin, Stripe Tarpaulin, leno tarpaulin all can be made as per your request. 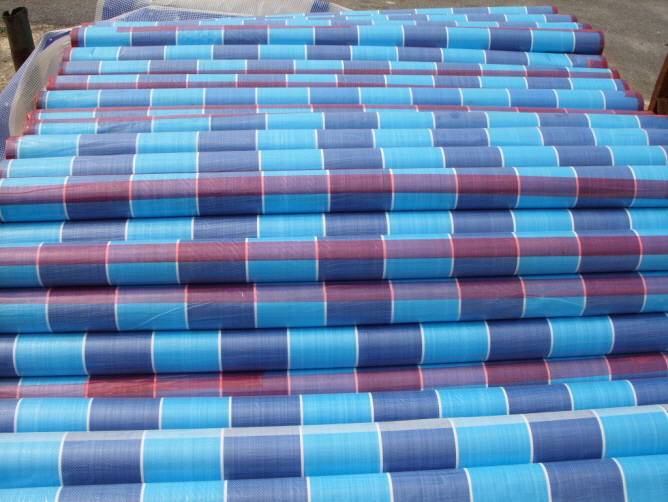 Q: What`s ready-made PE tarpaulin? 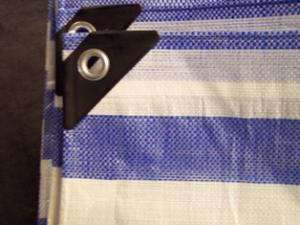 A: It is PE tarpaulin sheets, with PP rope reinforced in hem and aluminum eyelets around the edges every 1 meter or 3 feet. Reinforced black plastic bar, D-ring are also available as per customers` request. Q: What`s your material? Do you do recycled material? A: We only do virgin quality. Q: Can you accept customized orders? A: Yes, we can. All size, weight, color can be produced as per your request. Q: Can you produce scaffolding tarpaulin/Getapolyen? A: Yes, we can. And we can also produce reinforced webbing bands.